Johann Pachelbel, a 17th century classical musician, forever altered the musical world. “Canon in D major,” one of his 500-some compositions, for example, still performed by many today. 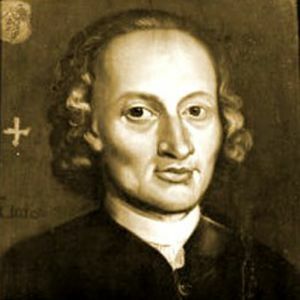 Pachelbel was born on September 1, 1653 in Nürnberg, Germany. He attended college at Altdorf, but had to un-enroll after a year due to the high costs of tuition here. Pachelbel then became a scholarship student at Regensburg. Once he finished school, he became a deputy organist at St. Stephen's church. In 1695, after a few years, Pachelbel returned to his hometown and took a job as an organist at St. Sebalduskirche, which translates from German to "St. Sebaldus Church." Here, Pachelbel taught lessons to young organ players. Among Pachelbel’s pupils was Christoph Bach. When Bach's parents died, he oversaw his younger brother’s playing and taught him everything he learned from Pachelbel. Bach's younger brother was none other than the now-famous classical music star Johann Sebastian Bach. The younger Bach went on to teach children to play the organ, too, including Wilhelm Hieronymus, who eventually became his successor. Pachelbel continued to teach and write music until his death on March 3, 1706. He was survived by his two sons. Pachelbel’s work deserves recognition. From composing 516 songs to grooming young musicians, Pachelbel certainly left behind an important musical legacy.